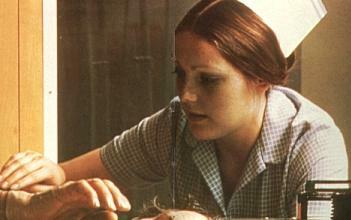 This is a special page about a subject that frequently appears in the REAL-pictures. 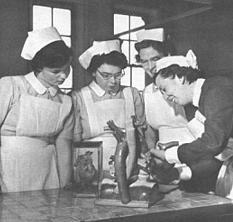 On this pages you see student nurses working with medical instruments to practice. 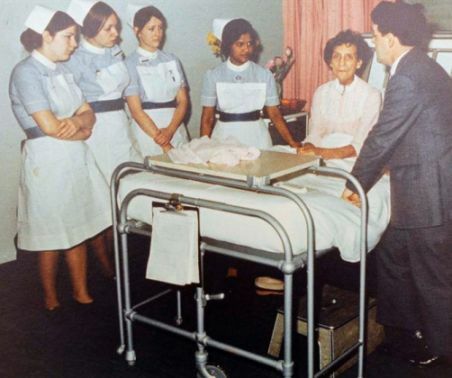 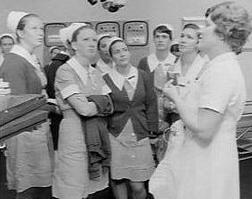 Australian Nurses from the early '70s. 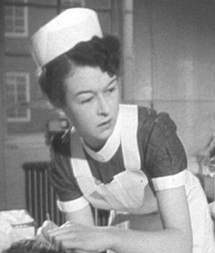 From Sue. 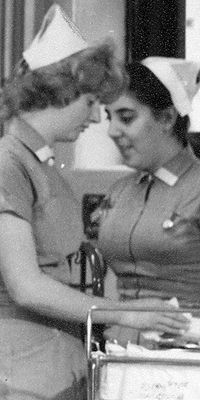 French Student Nurses from the '60s & '70s. 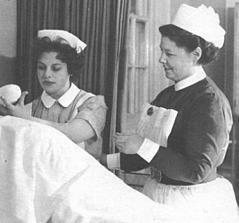 Thanks, Renaud. 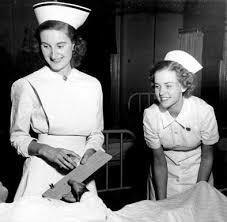 Two Nurses from the 1940s. 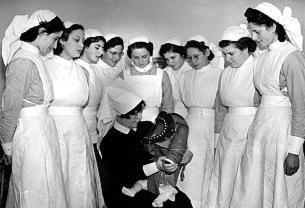 WW2 Nurses being shown how to fit a baby into a gasmask. 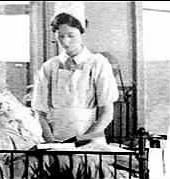 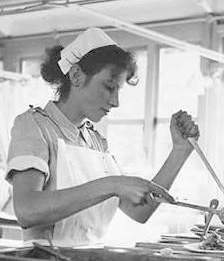 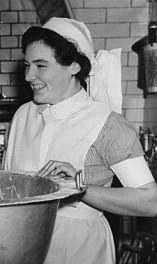 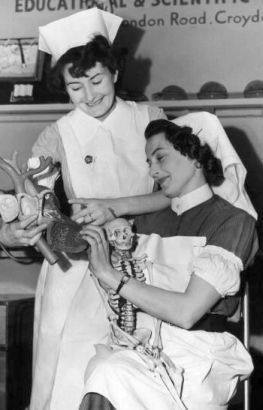 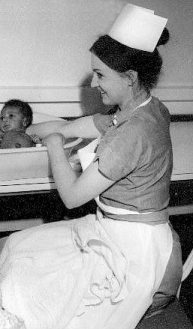 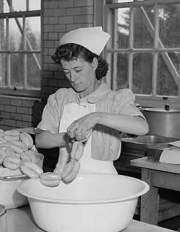 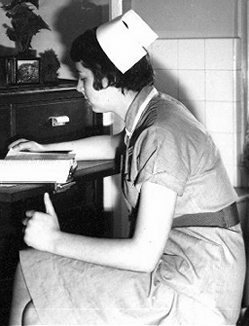 A Student Nurse in the early 1950s. 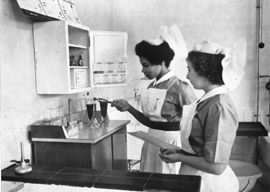 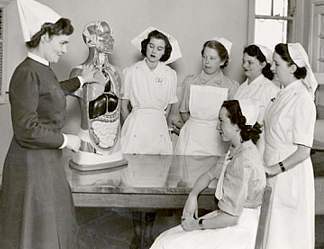 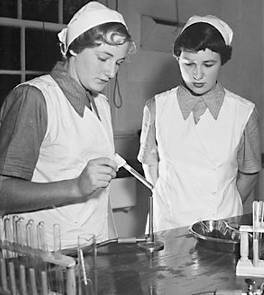 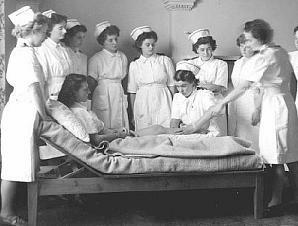 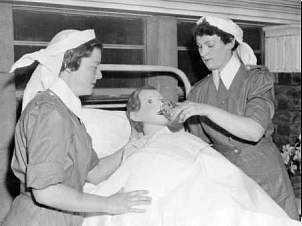 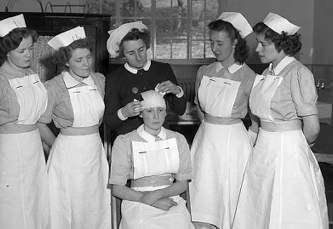 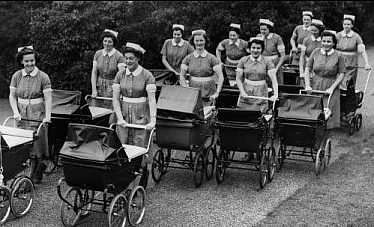 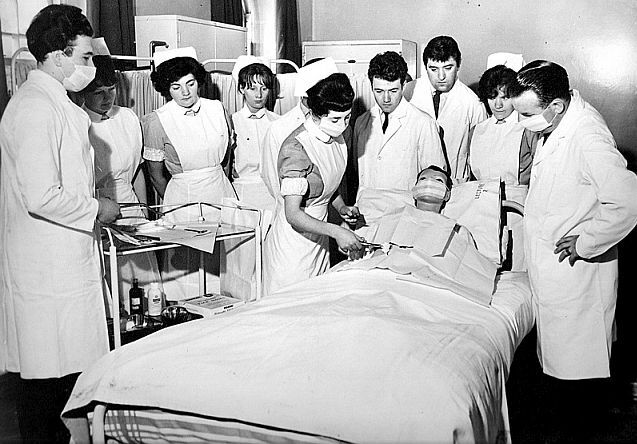 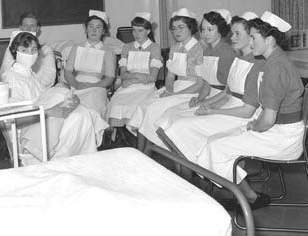 Nurse training, UK 1950s. 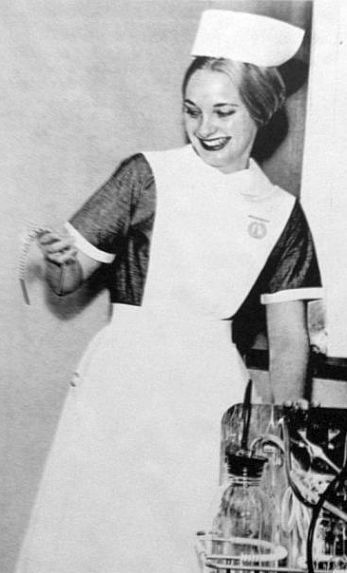 From Paul. 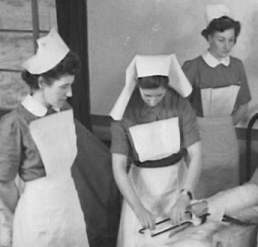 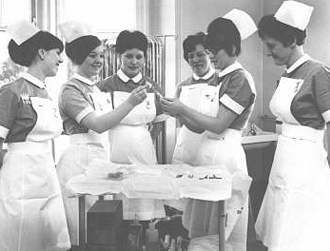 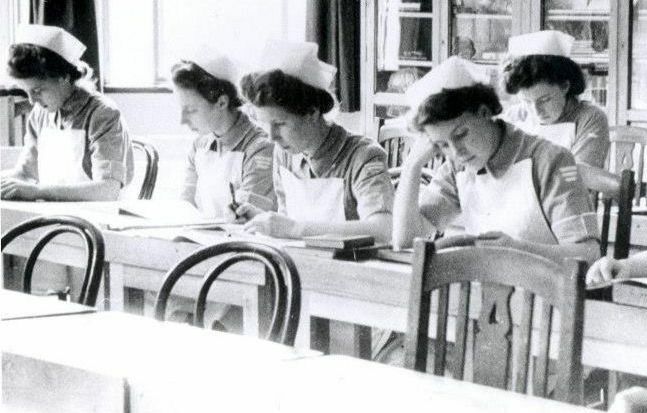 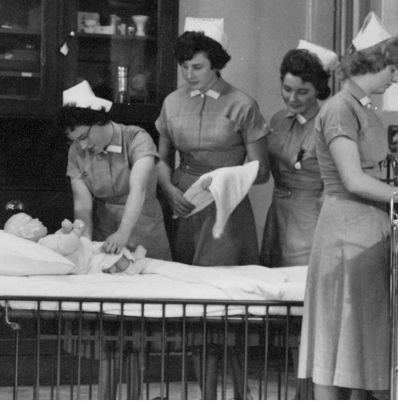 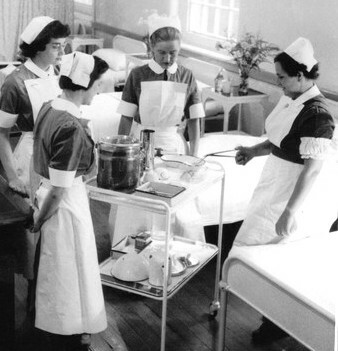 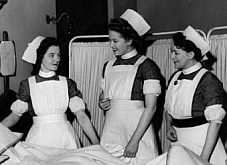 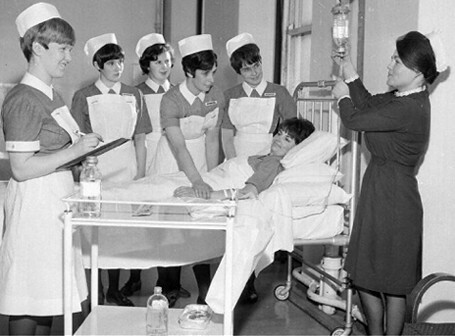 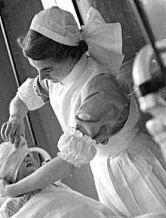 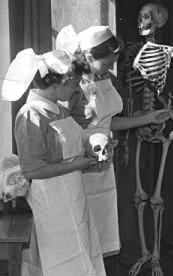 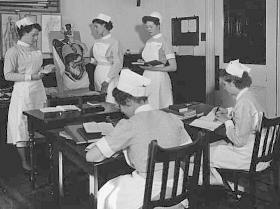 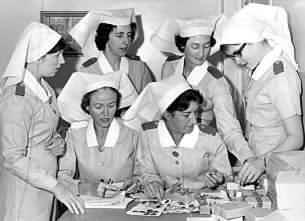 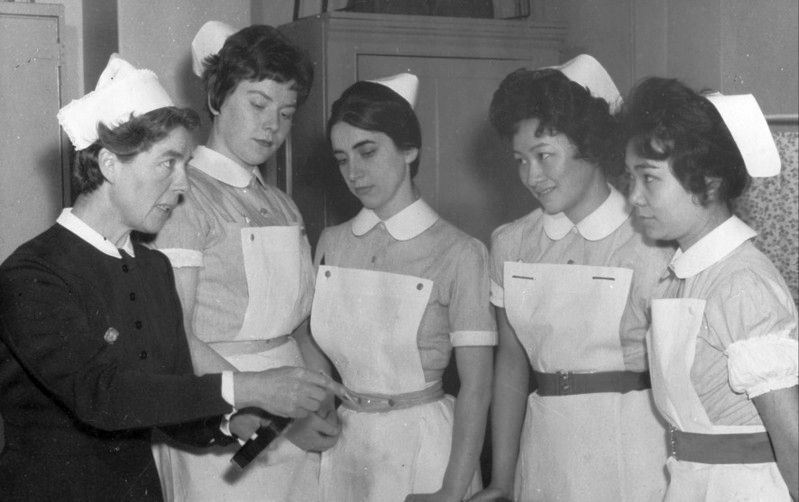 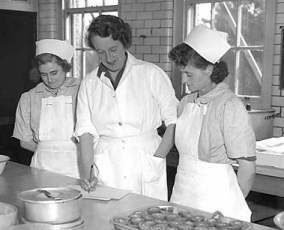 The varied duties of a Student Nurse, Wales 1955. 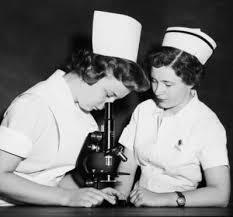 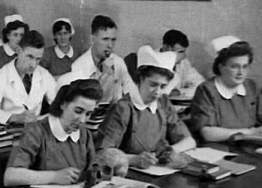 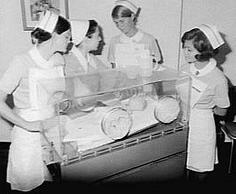 Student Nurses from the late '50s. 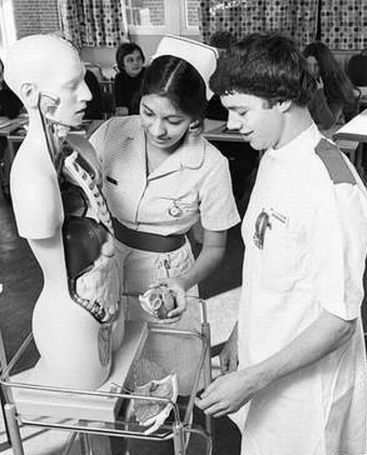 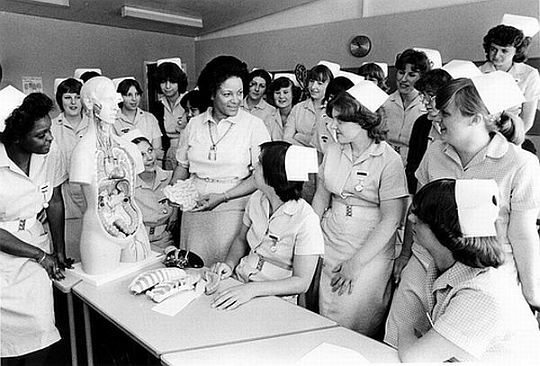 Student Nurse from the 1980s.